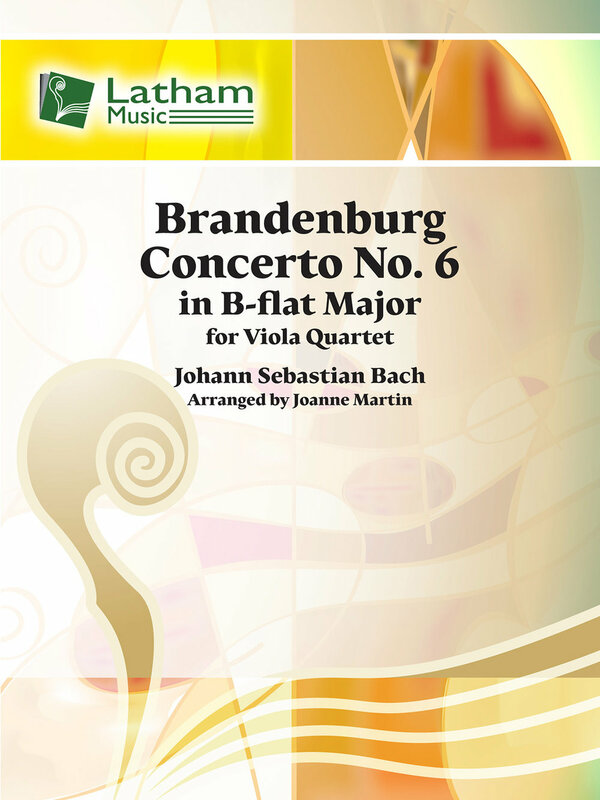 Bach’s Brandenburg Concerto No. 6 is a favourite in the viola repertoire. It was written for two solo violas accompanied by an orchestra of viola de gamba, cello and bass/cembalo, with no violins. 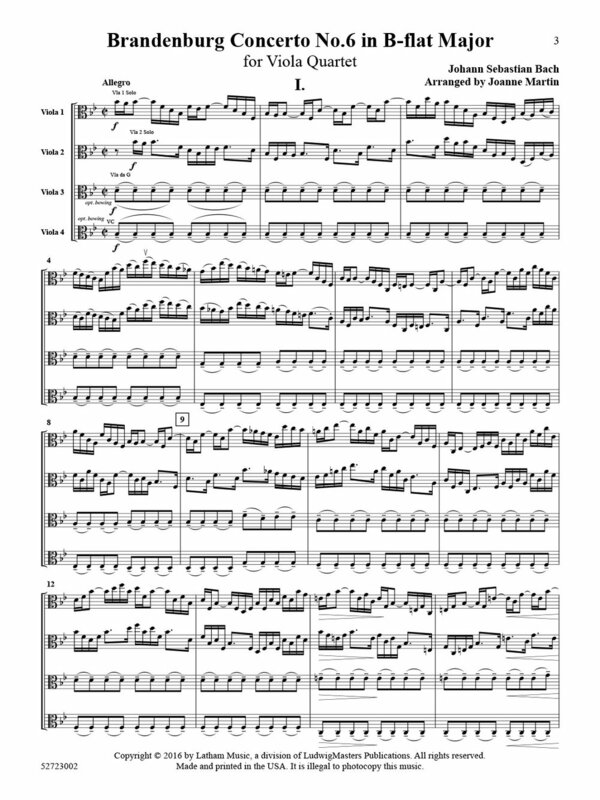 This new arrangement of all three movements for viola quartet retains the original solo parts, bass line and harmonies.